If you think of Buckle as a jeans destination, well… you’re right. But there’s another kind of denim on our must-have list this spring – denim vests and denim jackets. While these closet staples have always been known for their functionality, today’s styles feature flattering fits and stand-out details that give new life to this tried-and-true trend. To demonstrate, we asked a few members of our Women’s Buying Team to build looks around their favorite denim over-pieces. 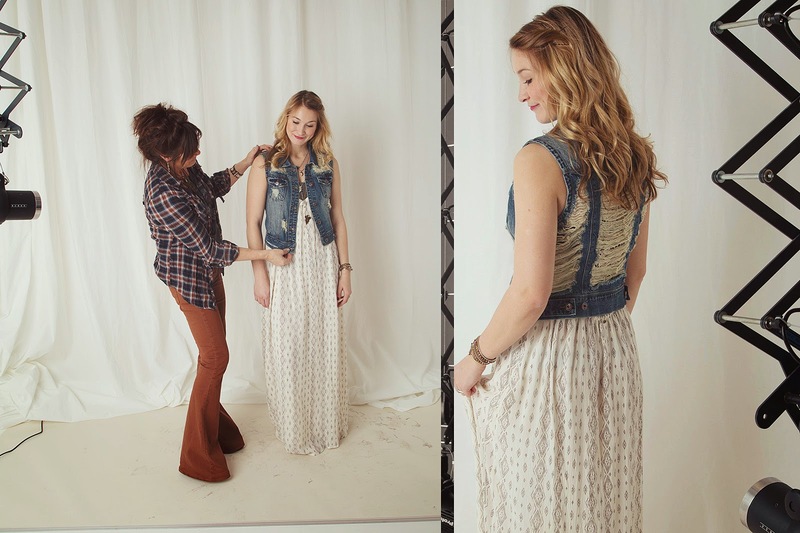 Peek inside their closets and take denim for a new spin! Let’s start with Kelsey. We love that she went for comfort with a flowy mini dress. Her textured vest is a perfect complement, giving added shape and visual pop to this pretty, basic look. If denim vests conjure thoughts of rock and roll, you’re not alone. Sara would agree, but she’s giving this acid wash vest a modern twist with active tights and an edgy strappy boot. Sydney’s vest may have a vintage look, but her outfit is more boho than edgy. She created a soft, feminine effect with an off-white maxi dress and dainty accessories. The color of the dress gives the vest details that extra pop. Jessica opted for a classic warm-weather look, contrasting a traditional denim vest against a white short. The subtle details in both pieces add interest, but still let her statement accessories shine. Sarah dressed up this two-tone denim jacket with a dark printed pant and bold black heels. Our favorite part of her look? The way the copper buttons on the jacket tie-in with her dark gold accessories. Wearing a denim over-piece with jeans can seem daunting, but Preston is definitely mastering the look! The key here is contrast. Keep one piece light and the other dark. Add a neutral base layer with subtle detail, and you’ve got a perfectly casual look. In the comment section, tell us which look best matches your style. 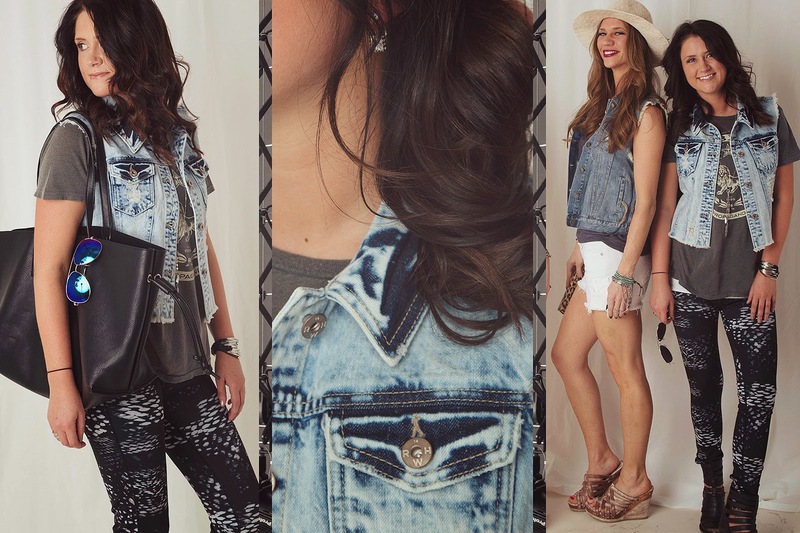 And don’t forget to show us your own take on this denim trend using #BuckleOut on Instagram, Facebook, and Twitter! 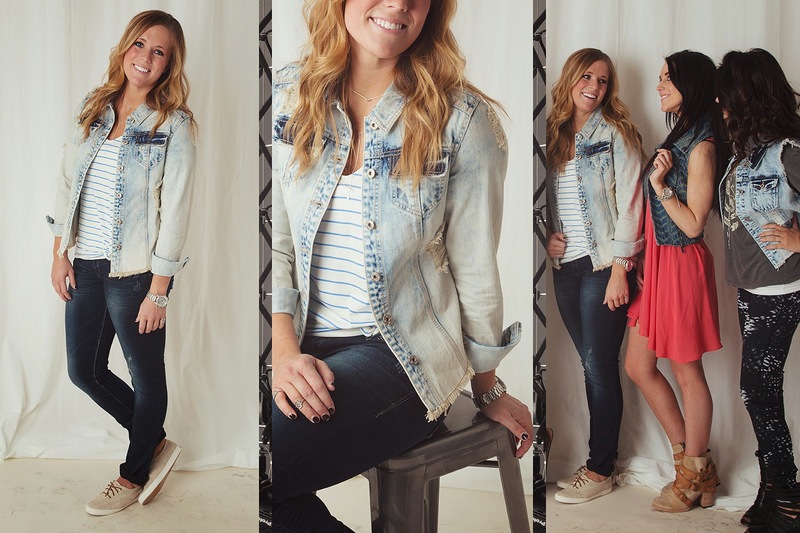 Denim vest and jacket are essential pieces in my spring wardrobe, and all these outfits are gorgeous, gave me great ideas. My favorite is the one with an off-white maxi dress.